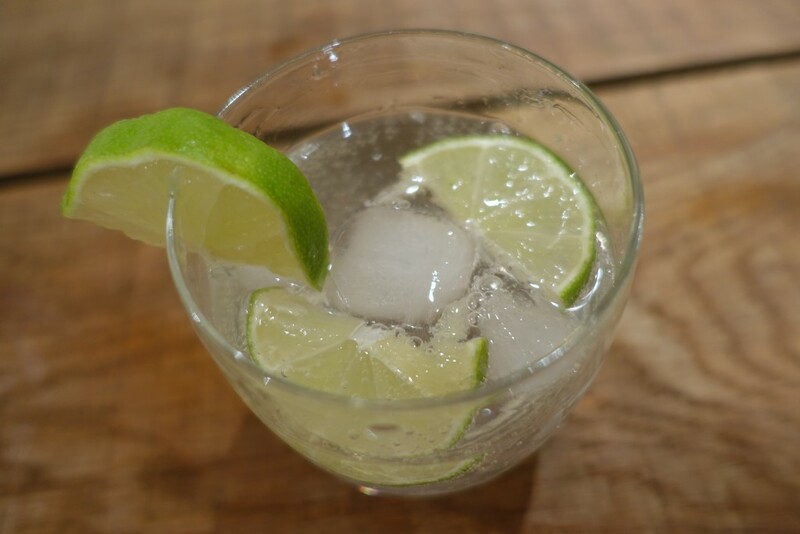 I’ve always liked trying new drinks but I found lots of people I know or would see in bars tend to go for the basics… gin and tonic with lemon, gin and tonic with lime, maybe a slice of cucumber if they’re feeling a bit crazy. 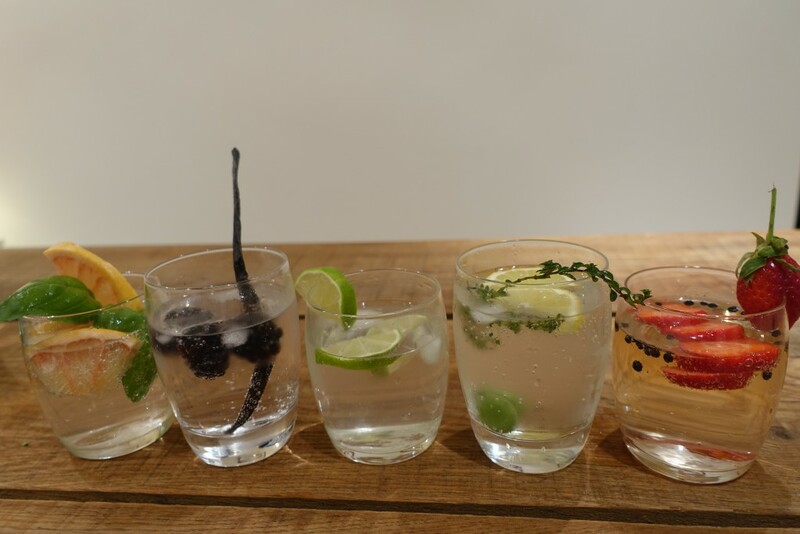 Don’t get me wrong this is probably because that’s all the bar tender offers, but I’m here to tell you to experiment, go wild, choose crazy flavours that you would never imagine putting together and have fun with it! 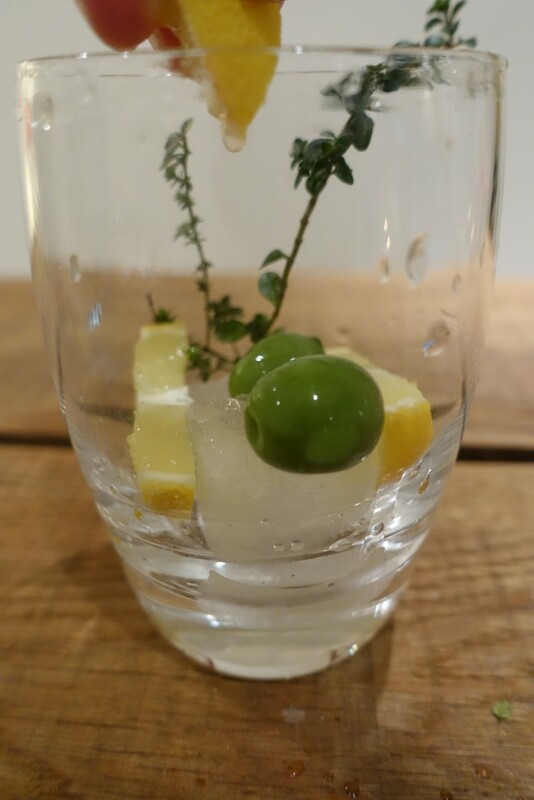 That’s what cocktails are supposed to be anyway – fun! 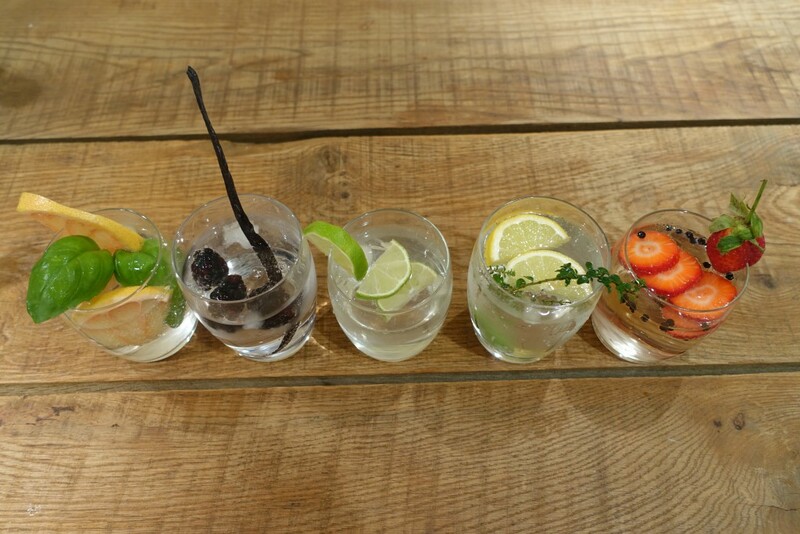 Each goes with a specific gin best which you can see by the pictures I’ve paired below. 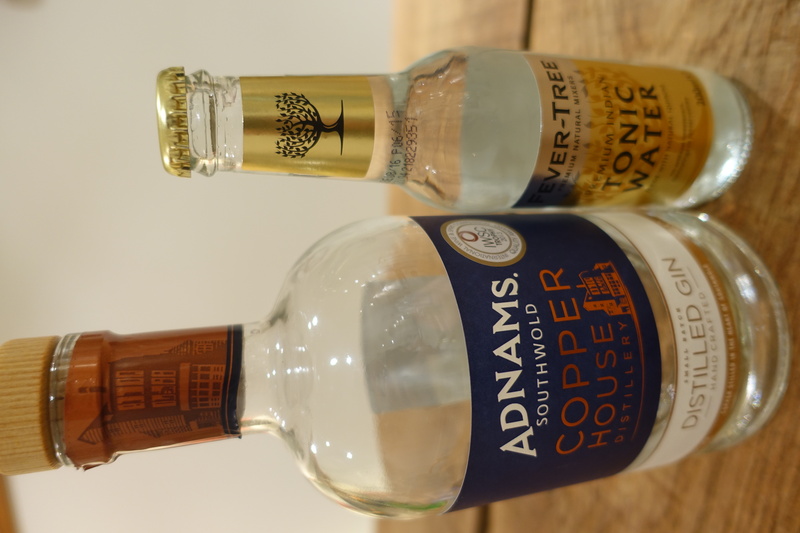 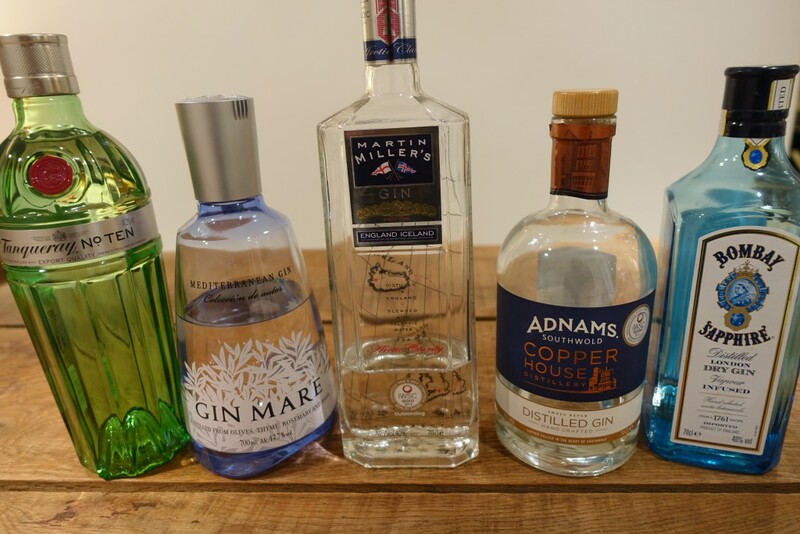 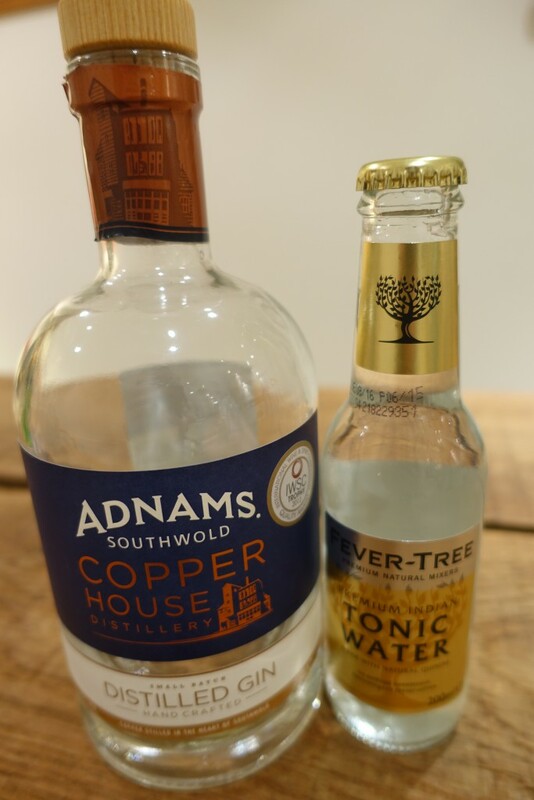 Adnams is a very warm and welcoming gin with its base note charged with juniper berry. 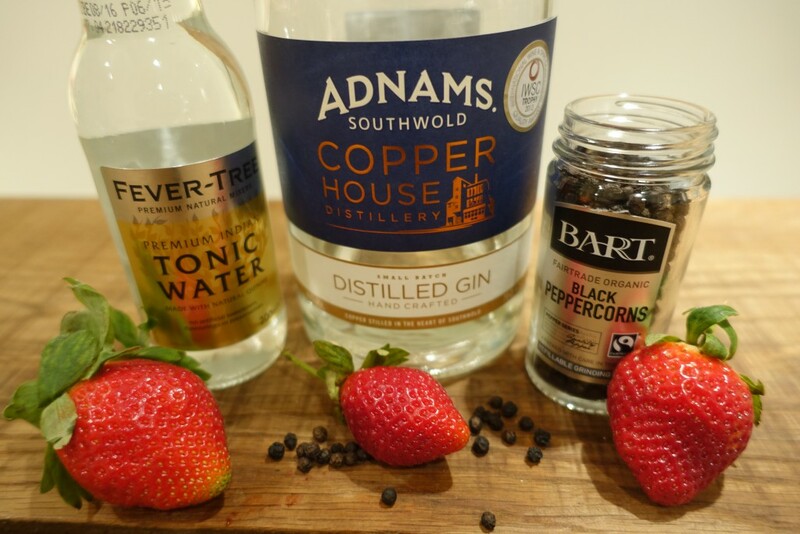 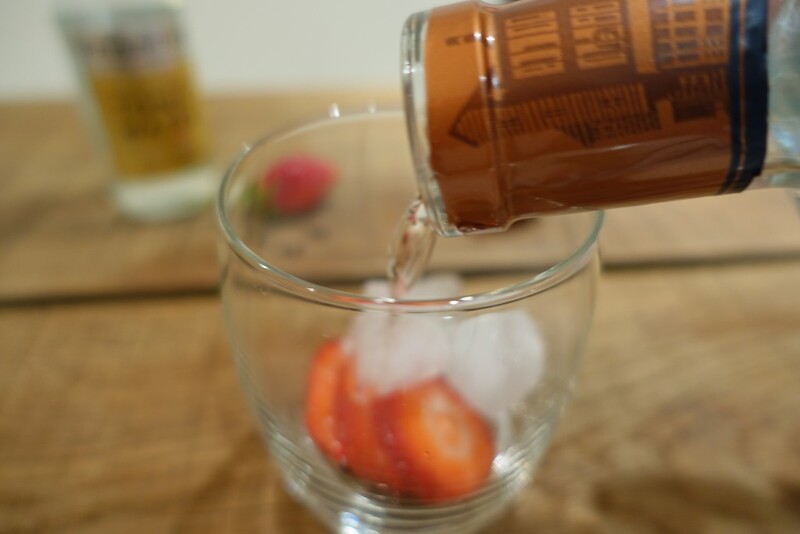 That’s why it works well with strawberries and can take the heat of the peppercorns. 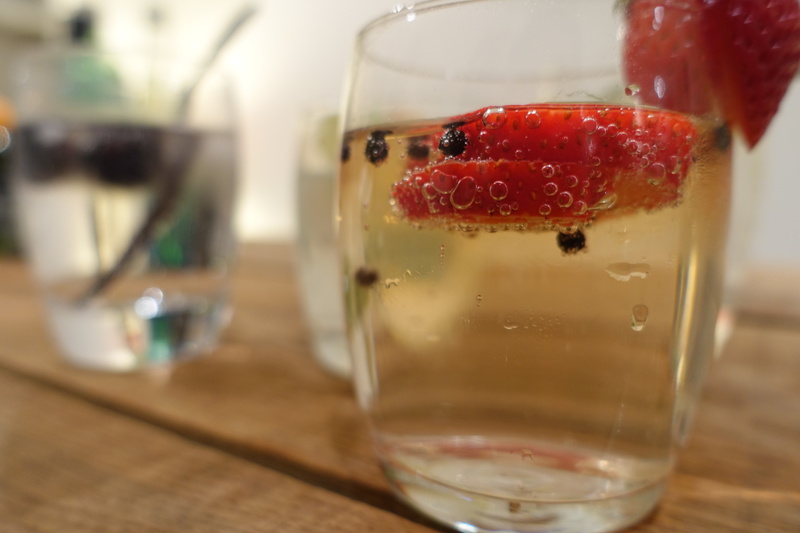 Perfect for a warm summer’s day, so maybe save this one for June. 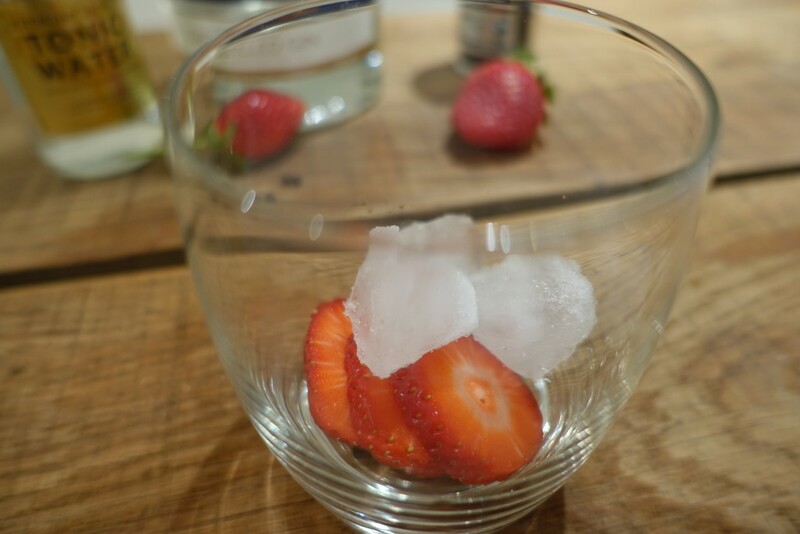 You want to make sure you put your ice in first, followed by your solid ingredients and then pour over the liquid. 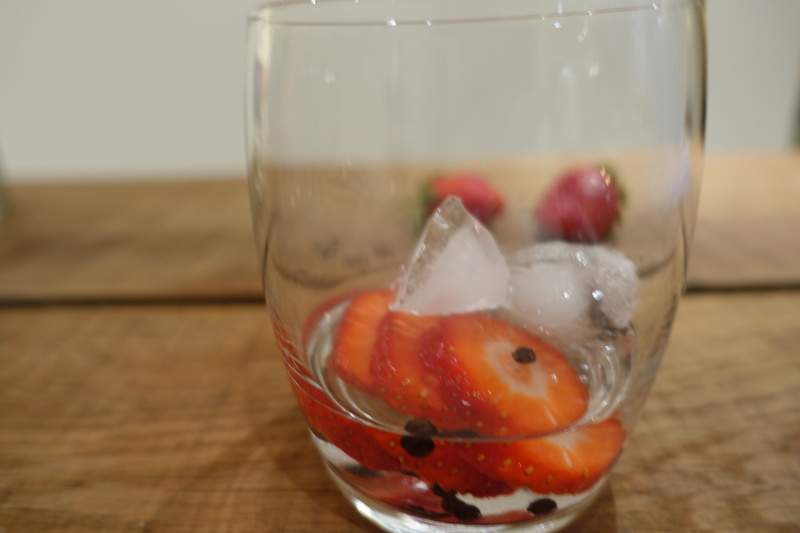 This way it instantly infuses and doesn’t splash any mixture out when you drop the fruit in. 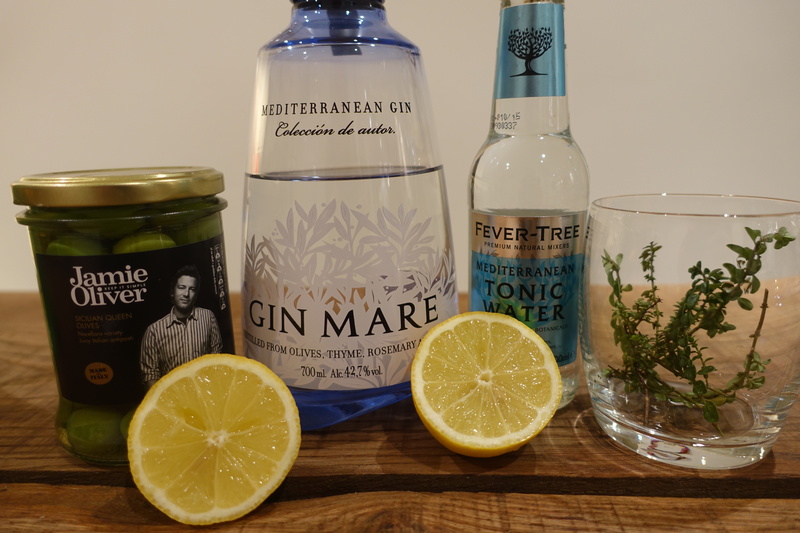 Next up is Gin Mare. 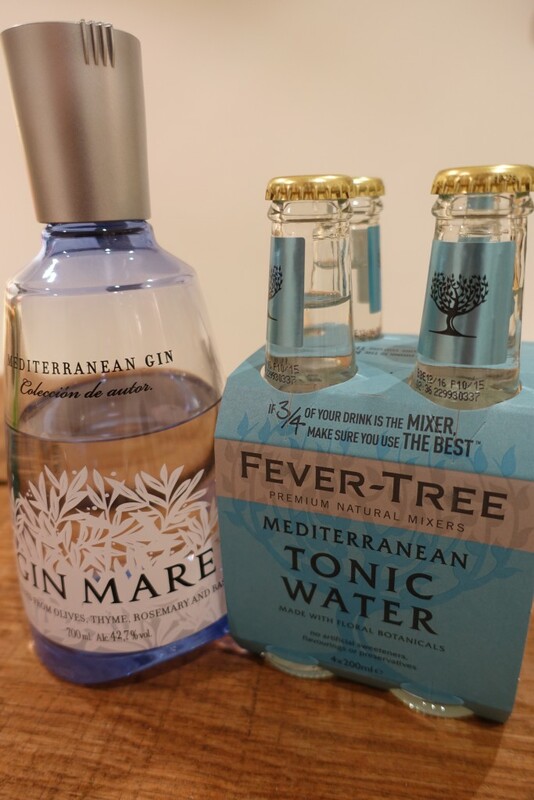 This is a Mediterranean gin as it is distilled through herbs such as rosemary and olives so it only made sense to add olives, thyme and lemon. 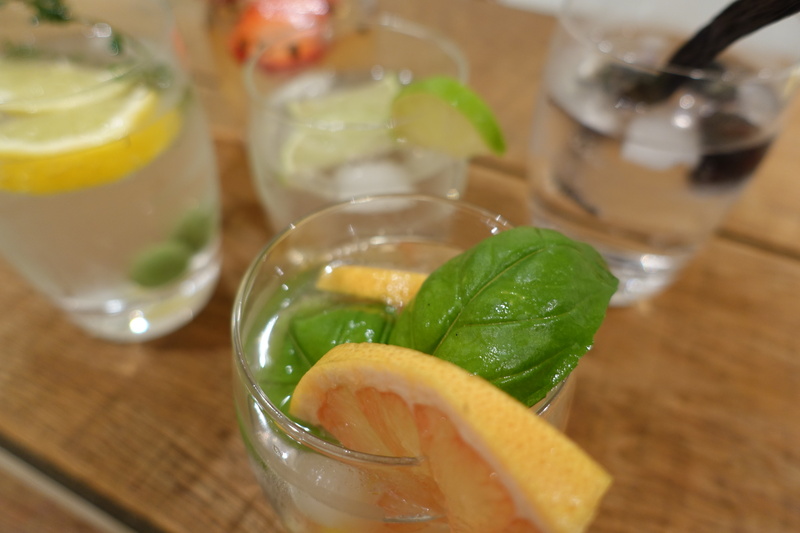 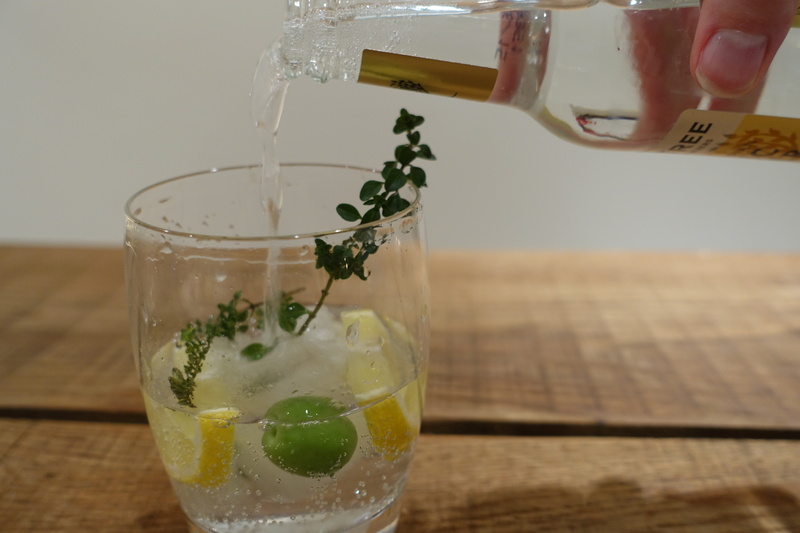 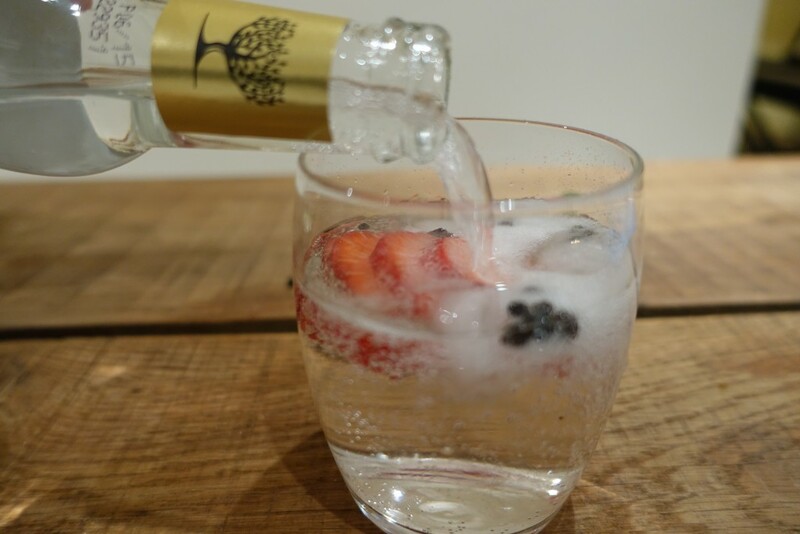 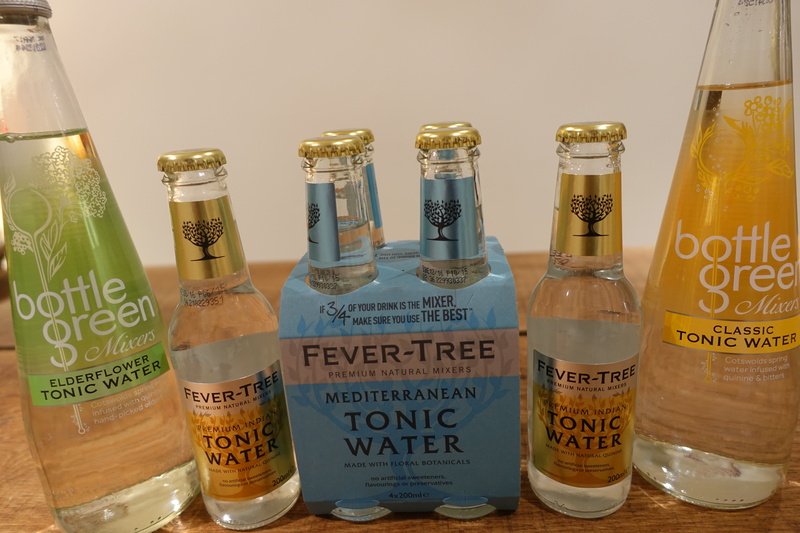 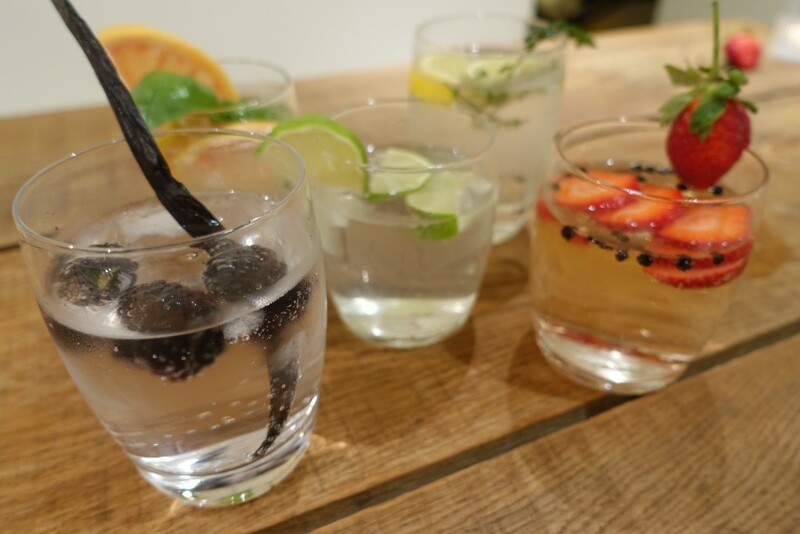 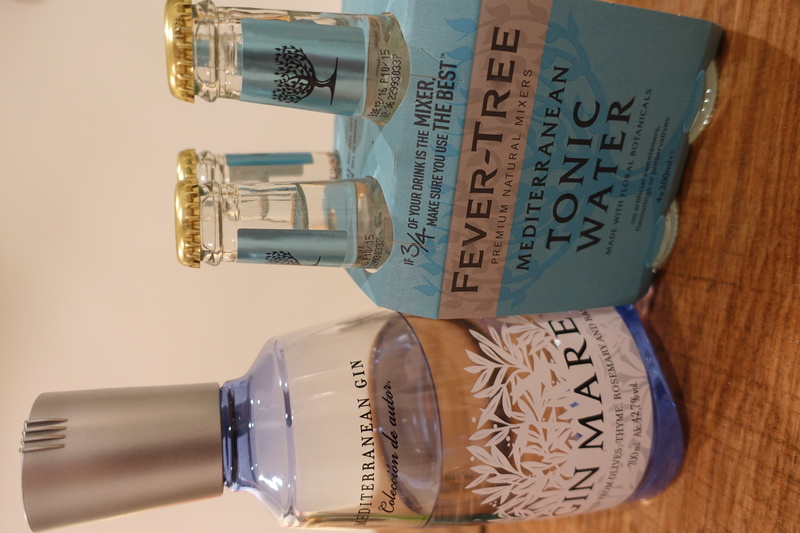 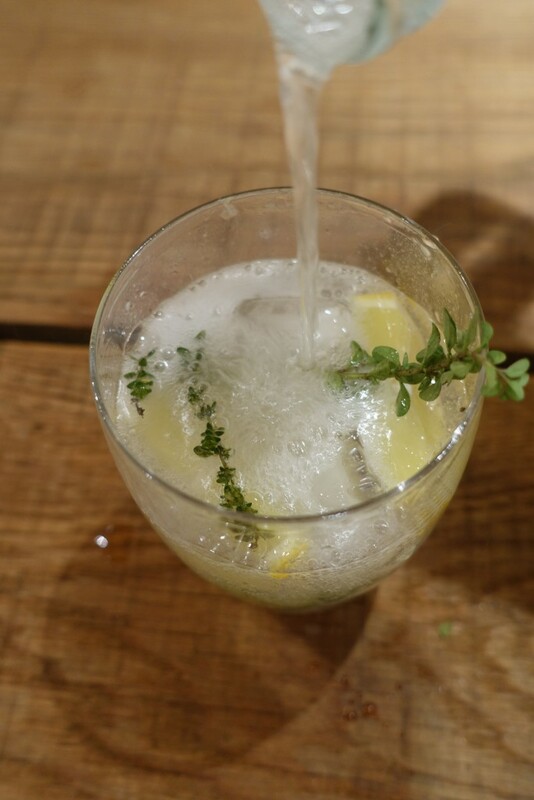 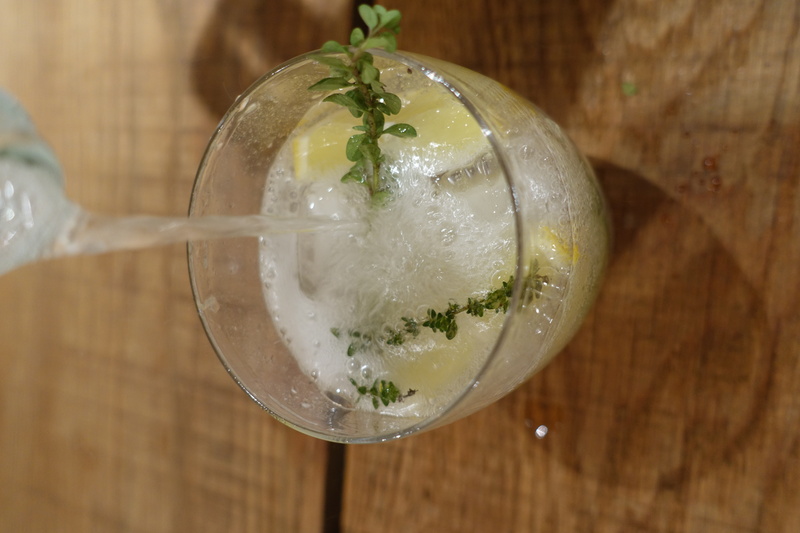 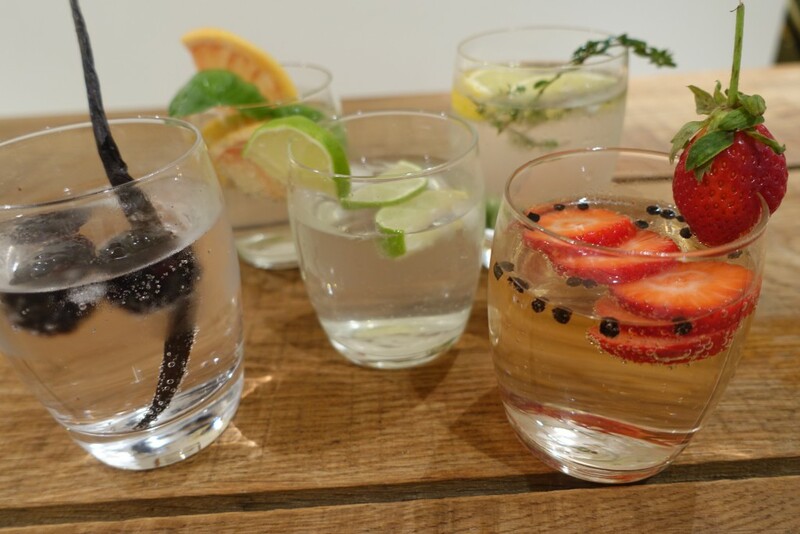 Plus, Fever tree tonic does a Mediterranean tonic water so I also added that. 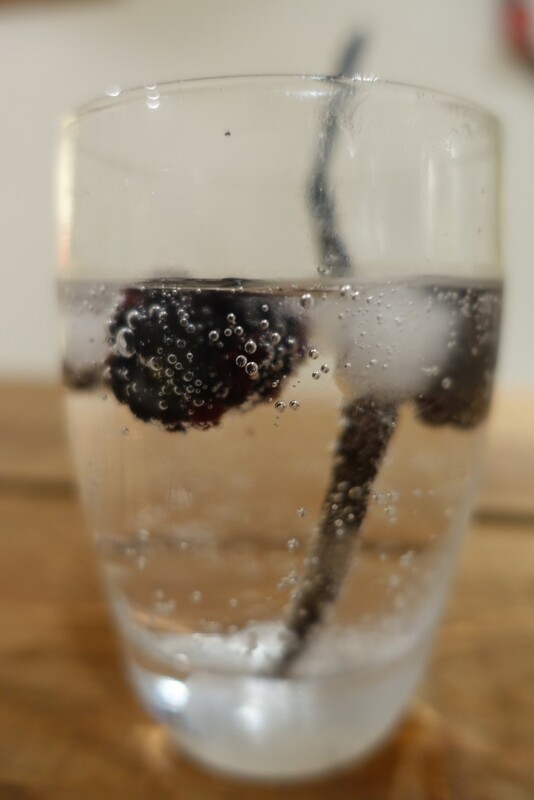 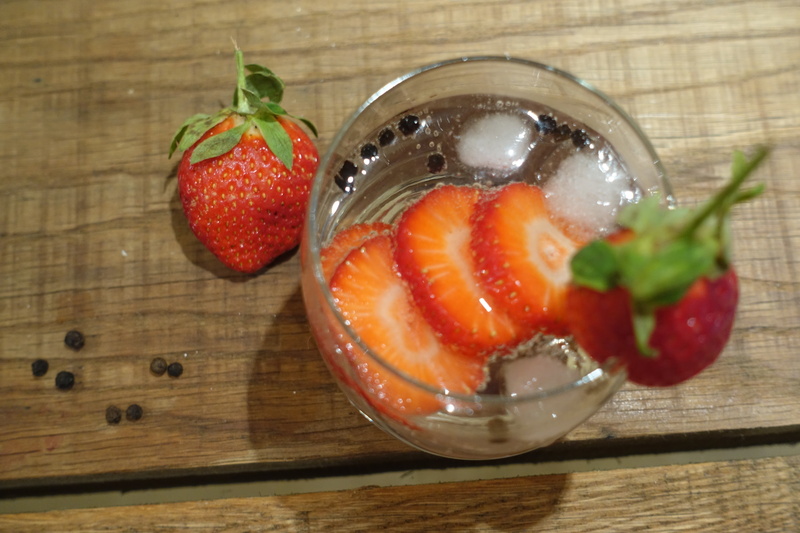 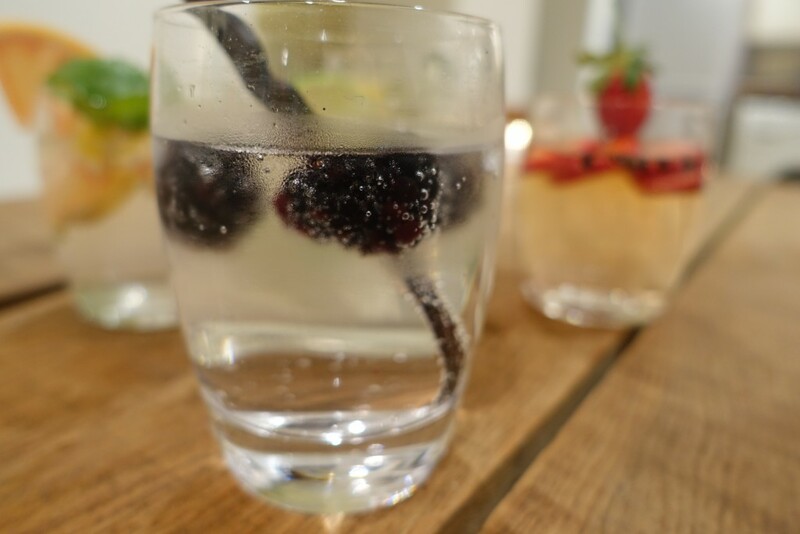 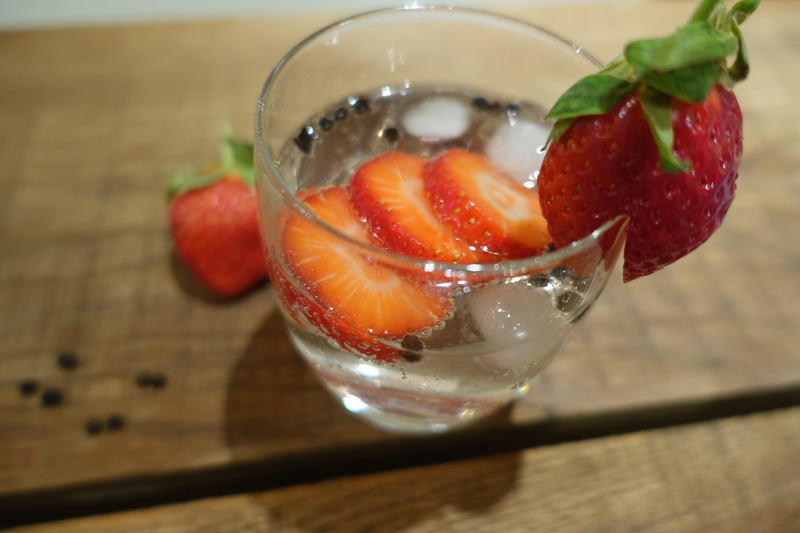 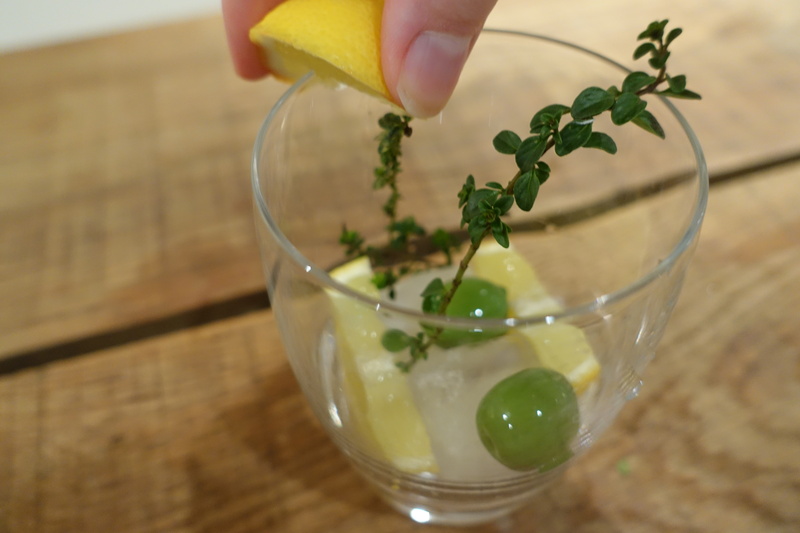 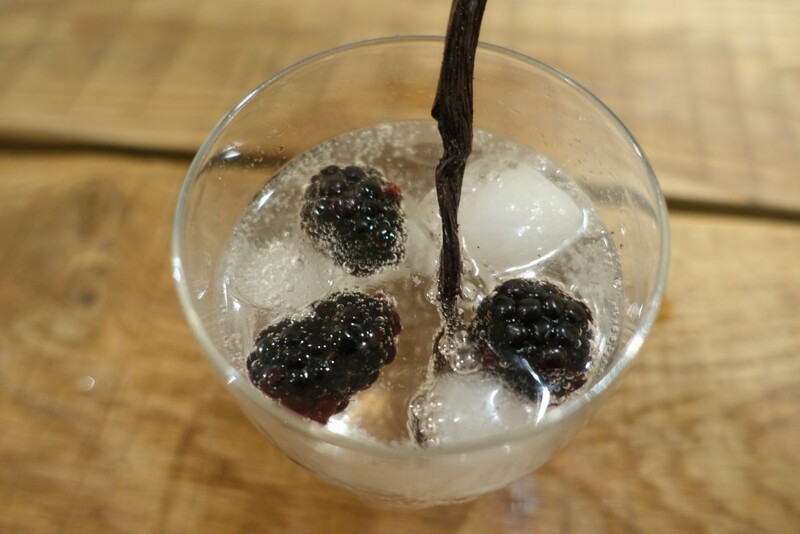 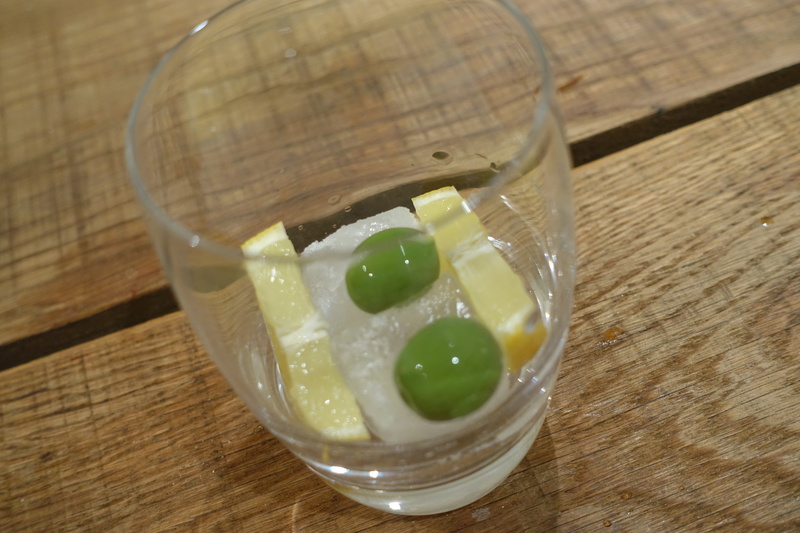 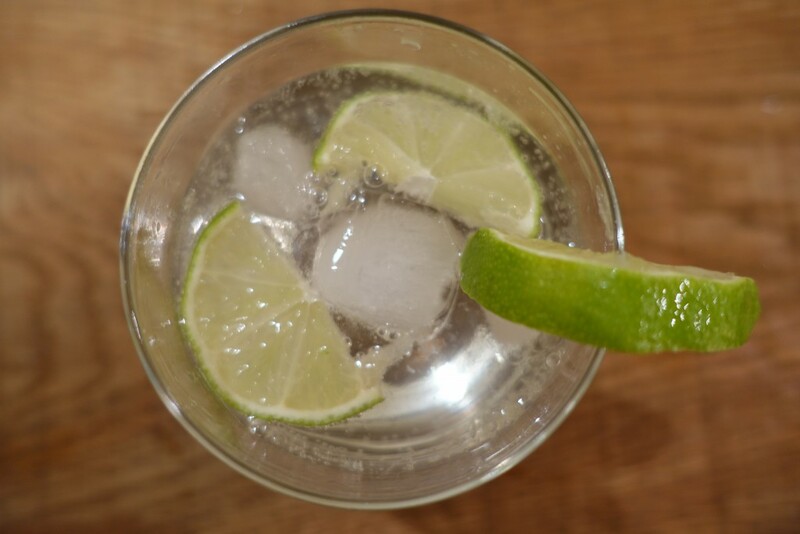 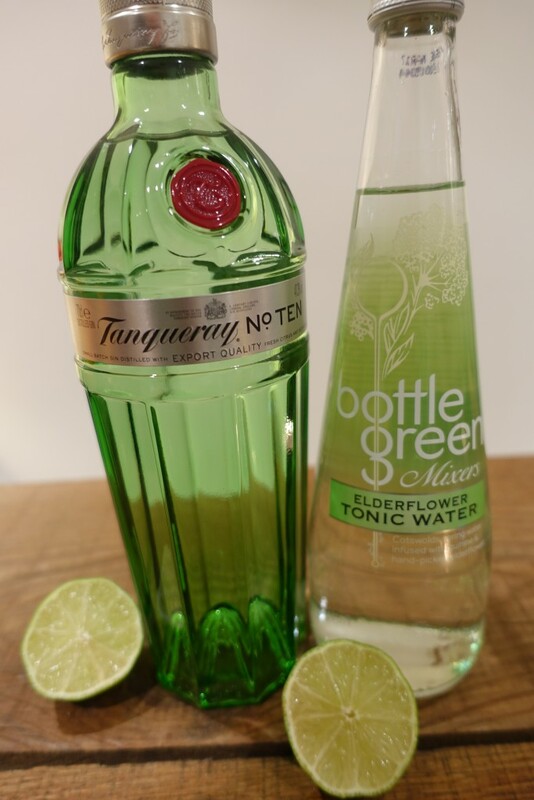 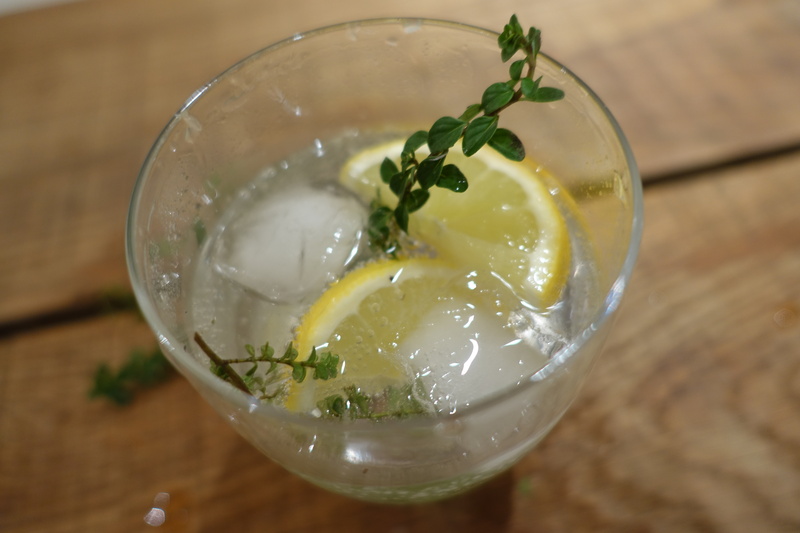 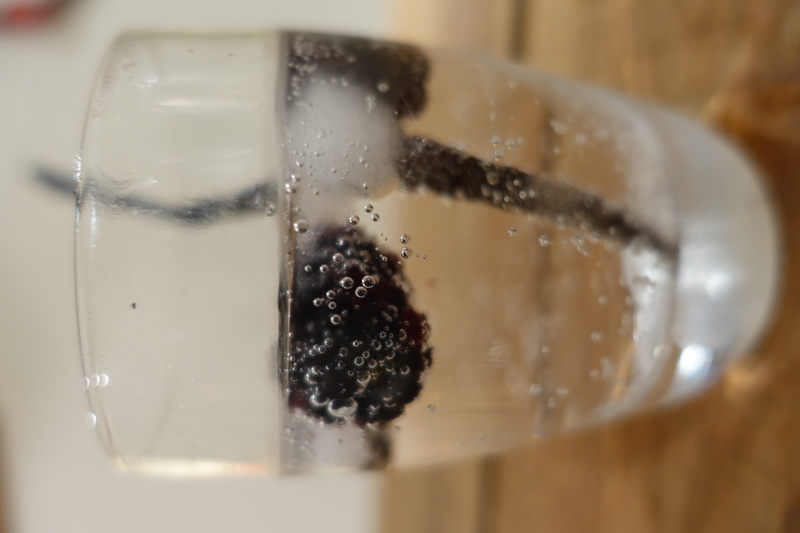 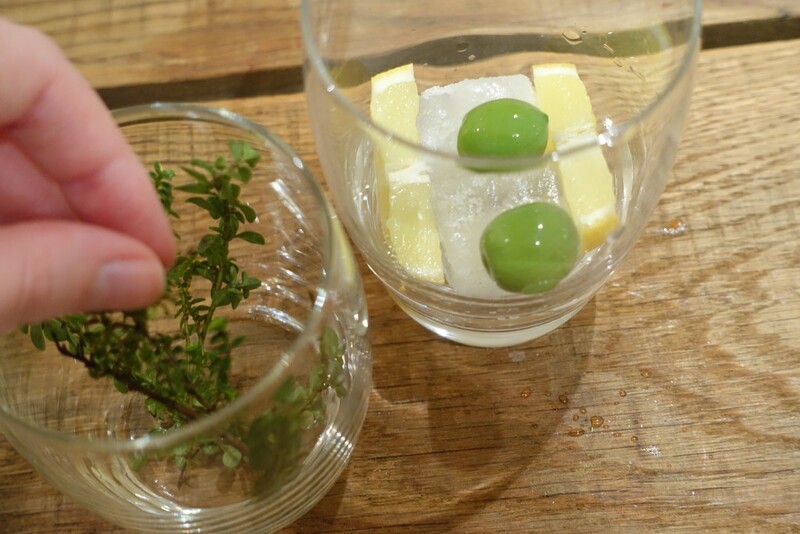 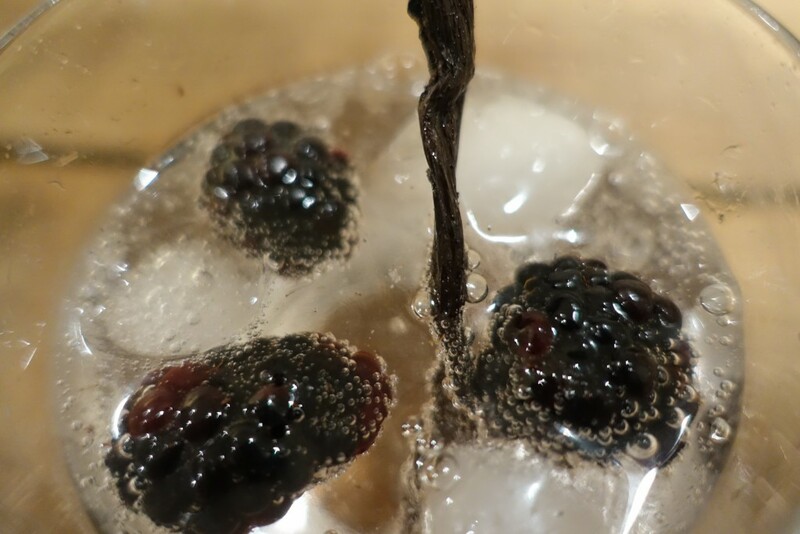 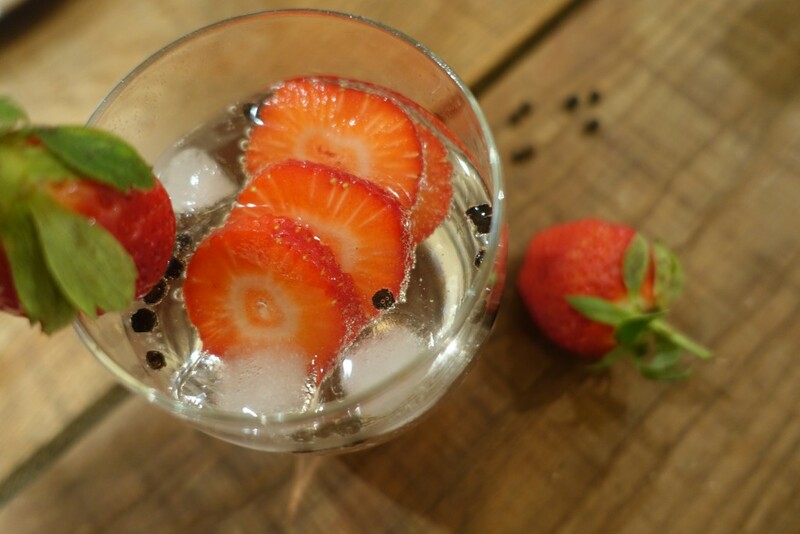 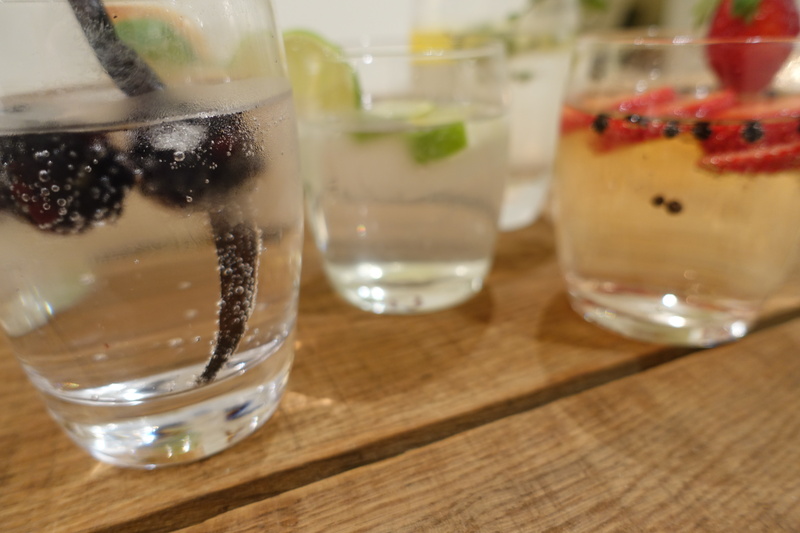 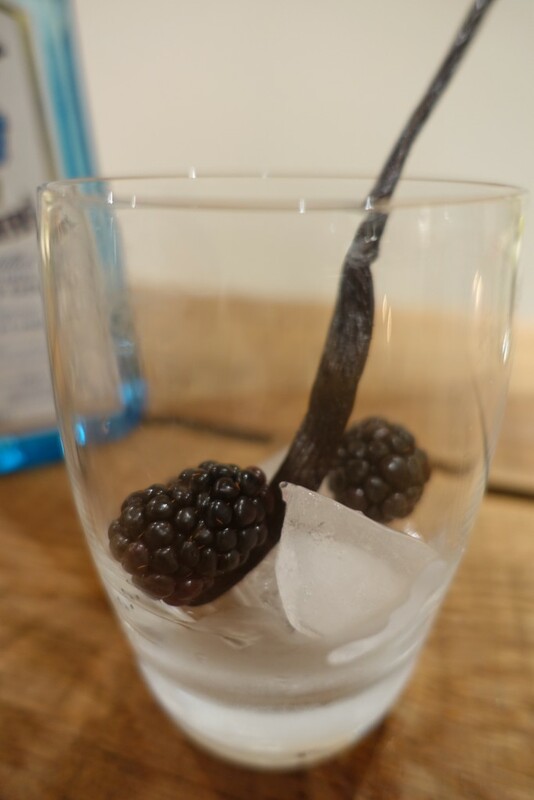 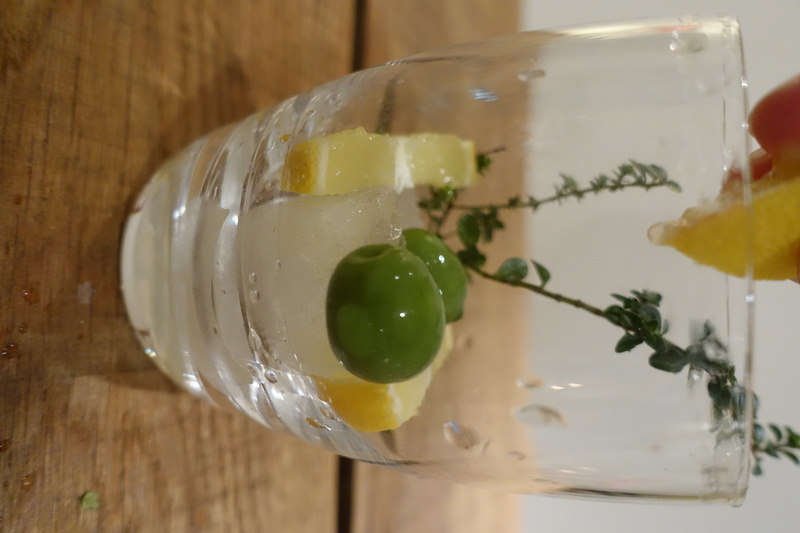 Put in your garnishes and ice, then use a measuring glass (1 shot) of this gin, and pour over the tonic water. 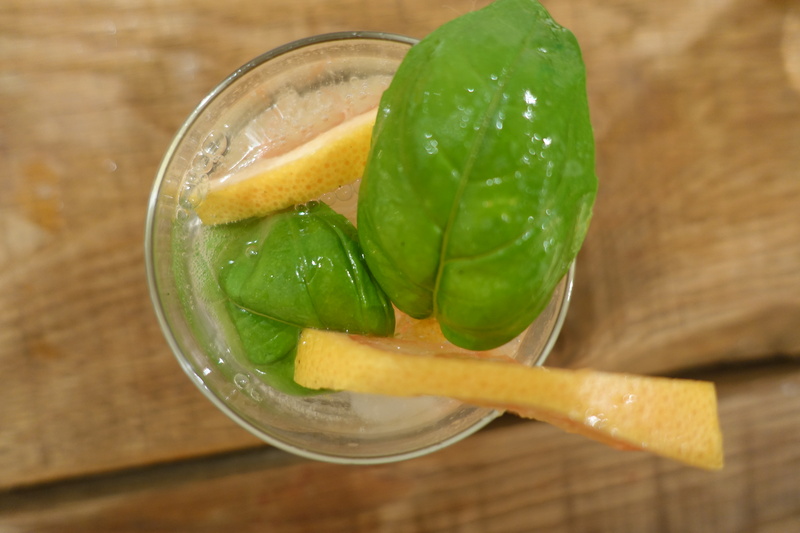 Voila, sip this and you’ll feel as though you are sunbathing in the hidden hills of spain, soaking up the rays. 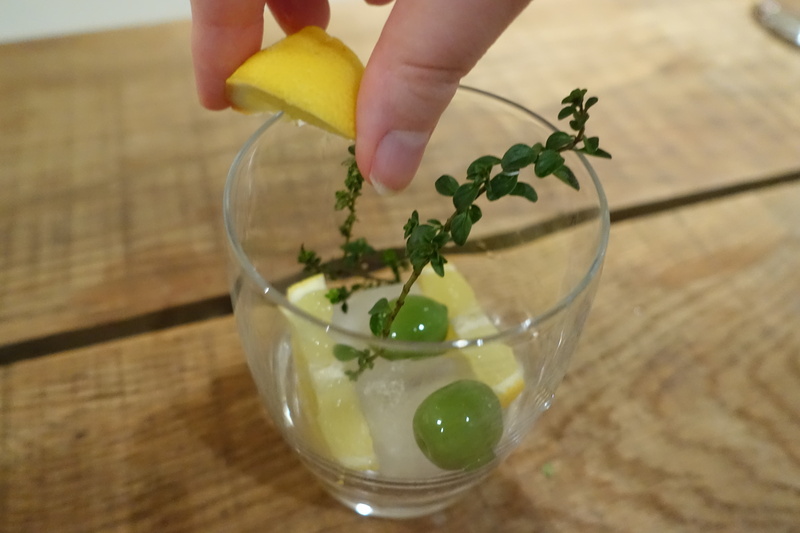 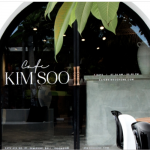 *Extra tip: rub your lemon round the rim of the glass so when you take a sip you already taste the lemon. 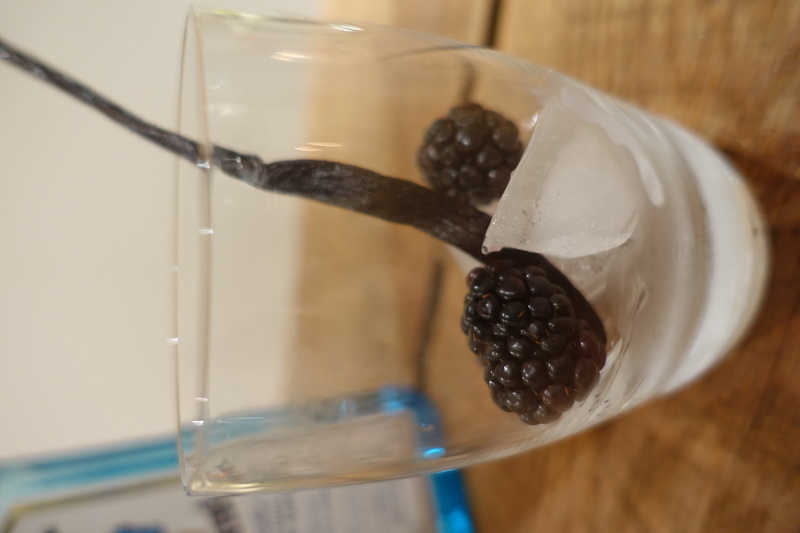 This will bring out the flavour of the gin. 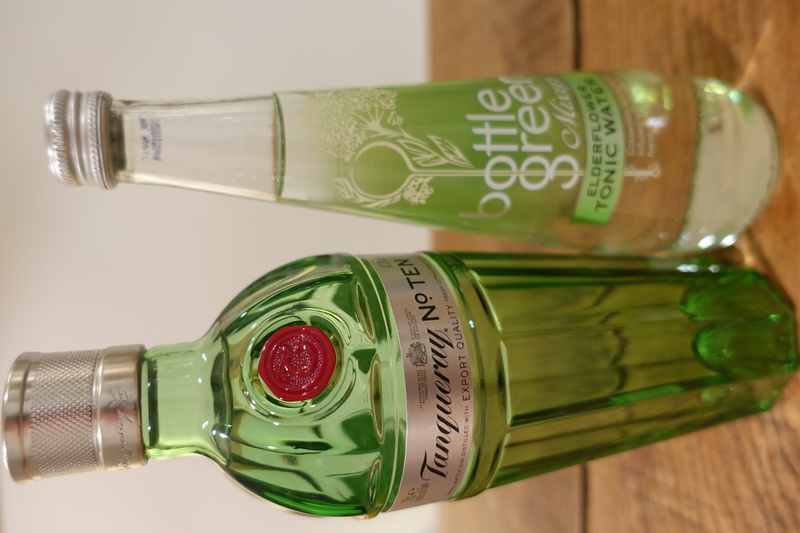 Our third gin is Tanqueray No.10. 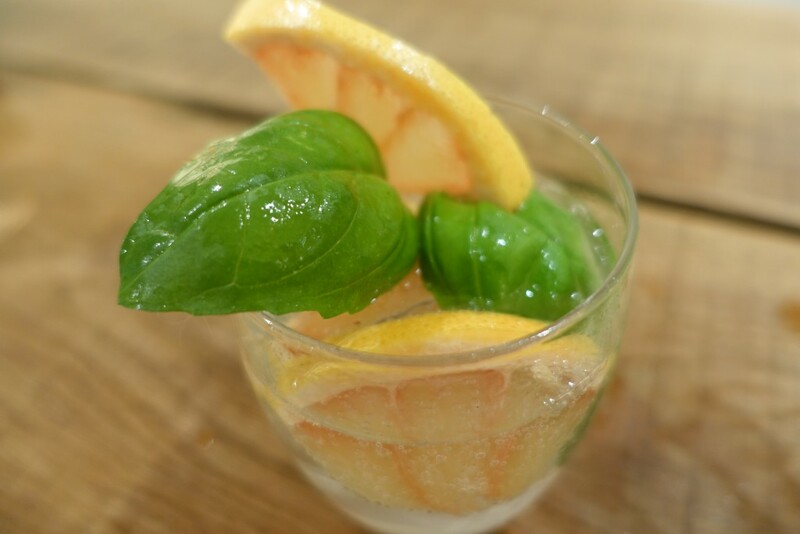 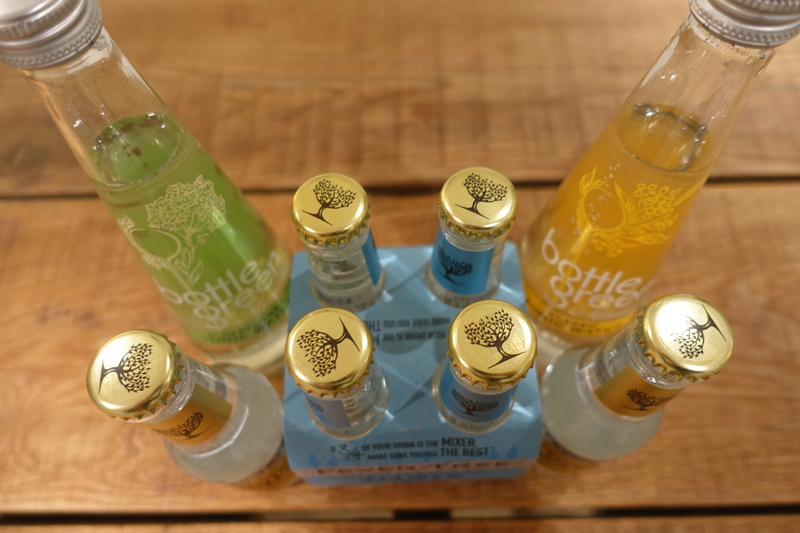 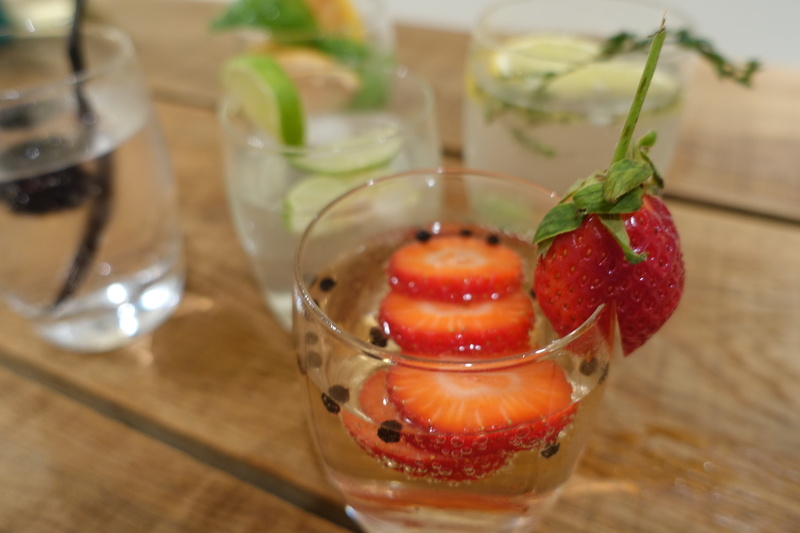 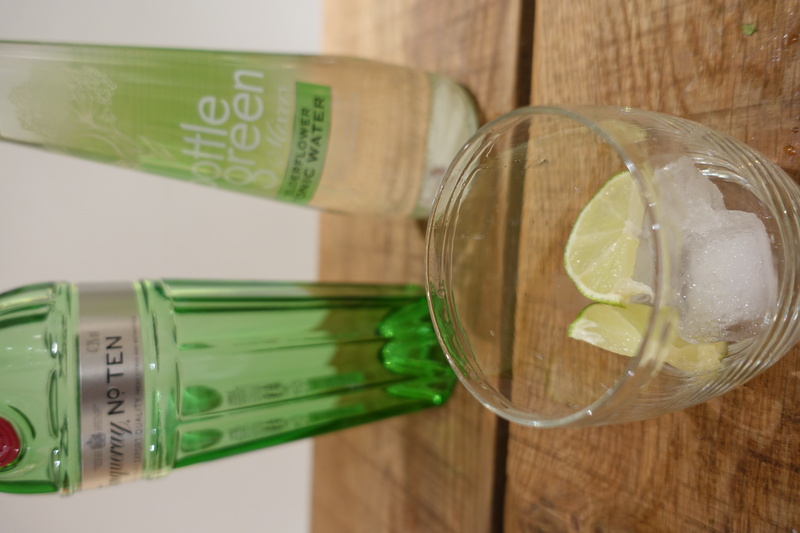 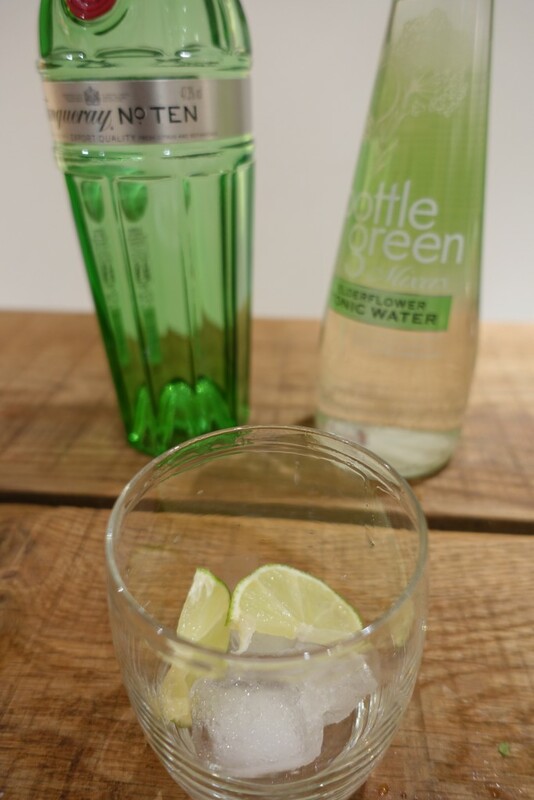 It was specifically created with citrus fruits in mind so only made sense to put it with the elderflower tonic and lime. Sweetness with a slight sour edge. 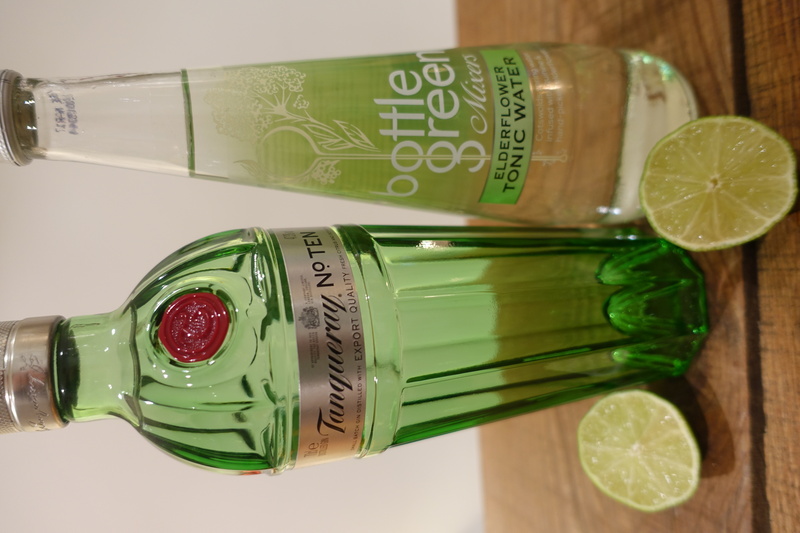 I say no more. 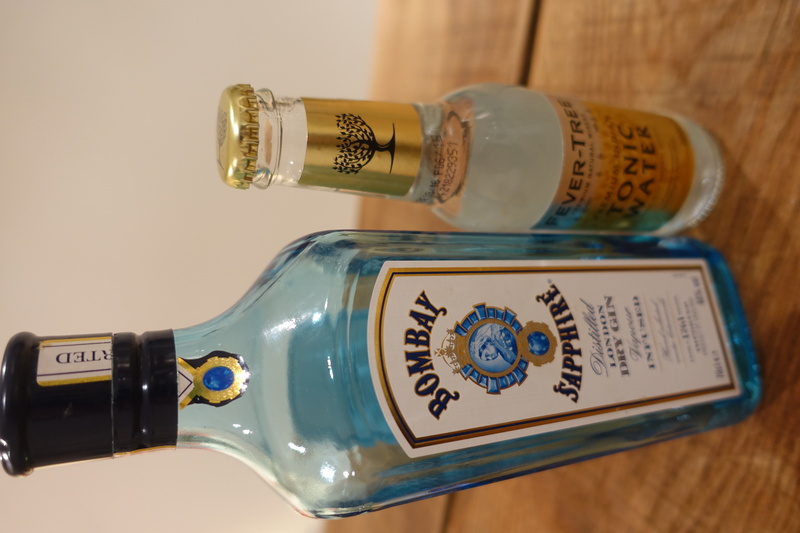 Last but by no means least, is Bombay Sapphire. 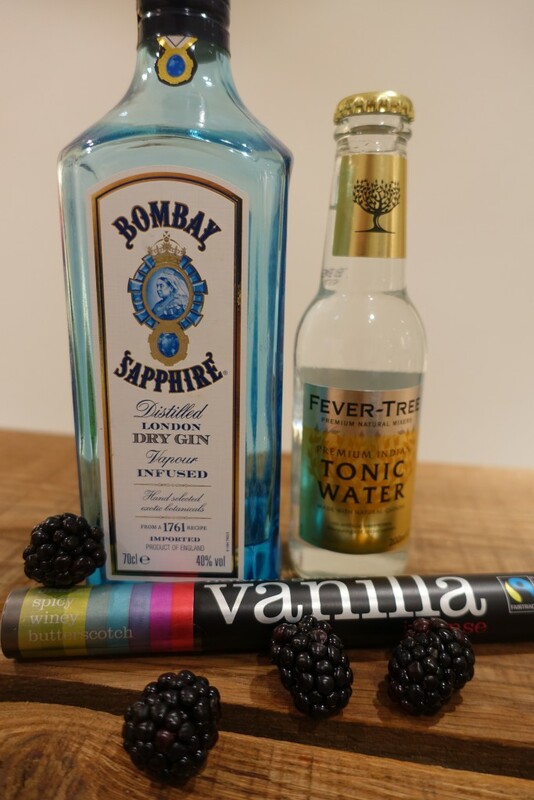 It’s notes of liquorice go well with the sweetness of the vanilla pod and the cassia bark much like cinnamon but with a more delicate flavour, it adds a light warmth and sweetness to the drink which goes well with the blackberries. 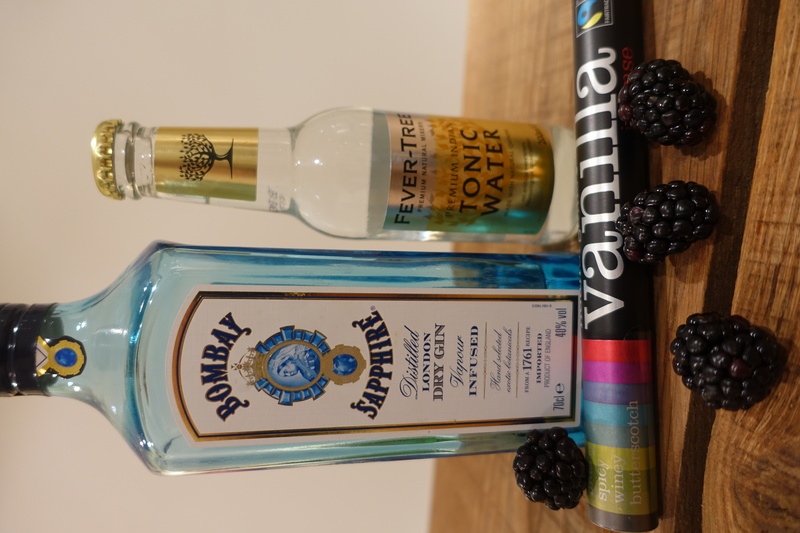 It also has exotic notes of cubeb berries and almonds, which to me are things which definitely go with vanilla and blackberries. 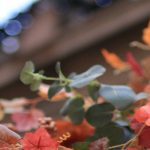 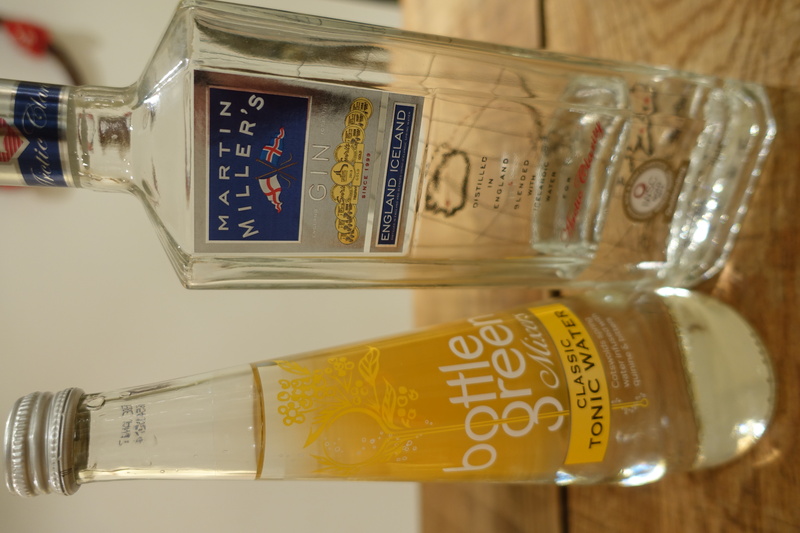 Finally, if you’ve been reading my blog for a few months now, you will already know my love affair with martin miller’s gin. 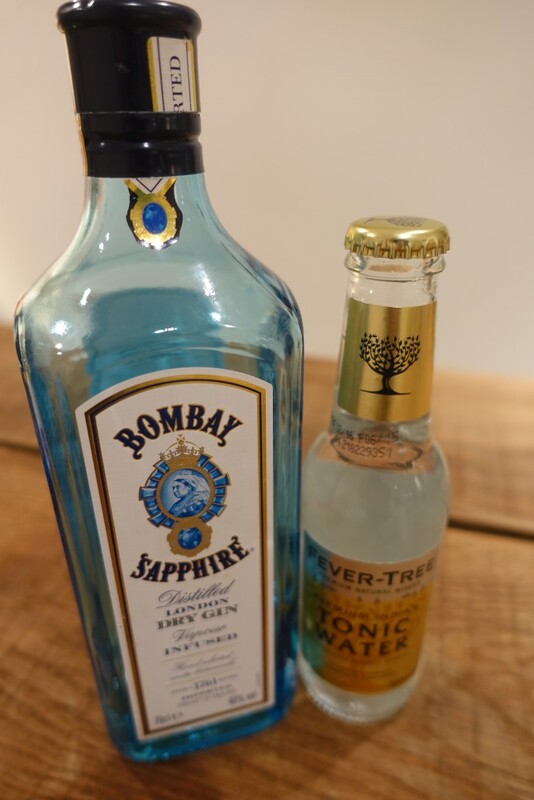 Well nothing has changed. 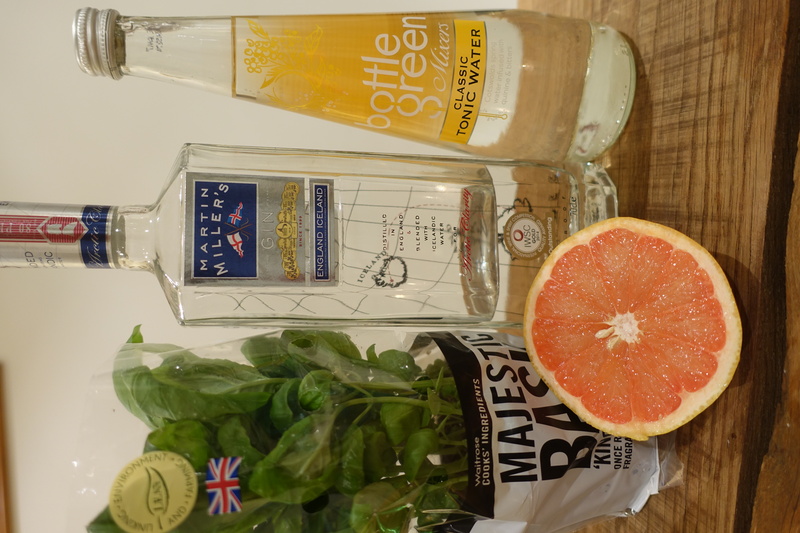 My favourite rendition of this is to pair it with grapefruit and basil. 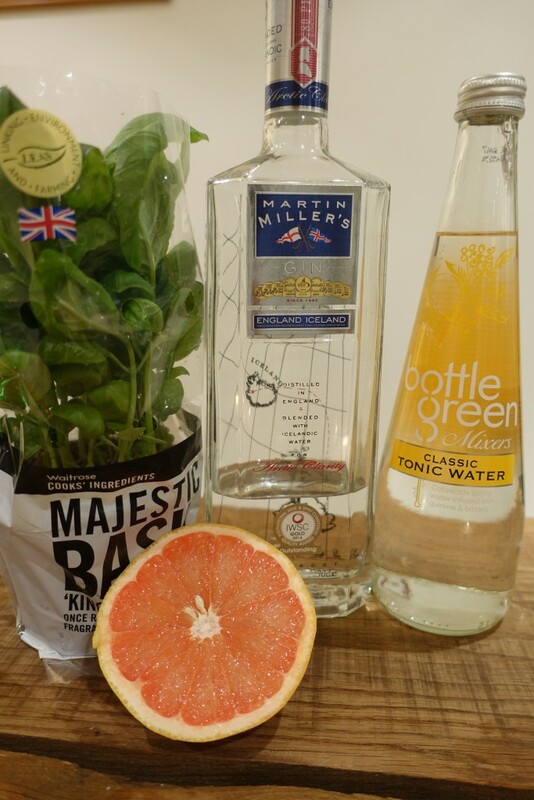 Something I learnt during their masterclass at the wilderness festival [read my blog post about that here!] 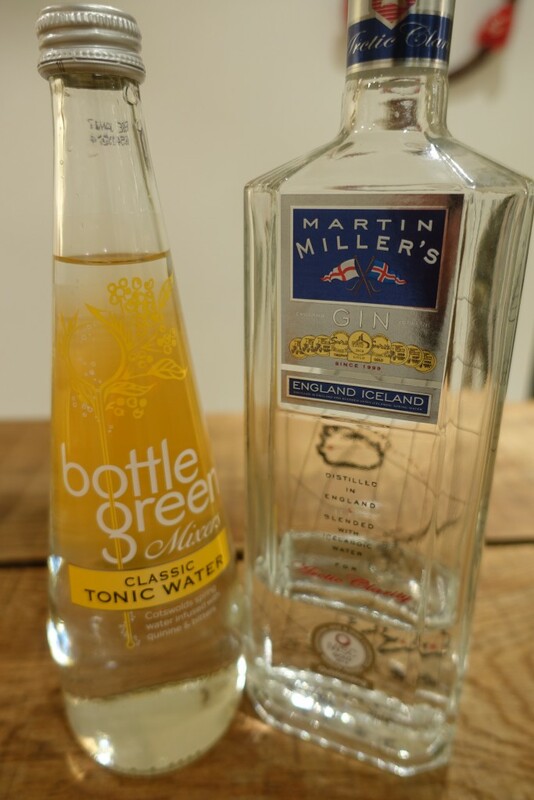 Martin miller’s gin is distilled by juniper and earthier botanicals that are later ‘married’ or blended with a second separate distillation of the citrus elements of bitter orange peel from Seville, lemon and lime peel. 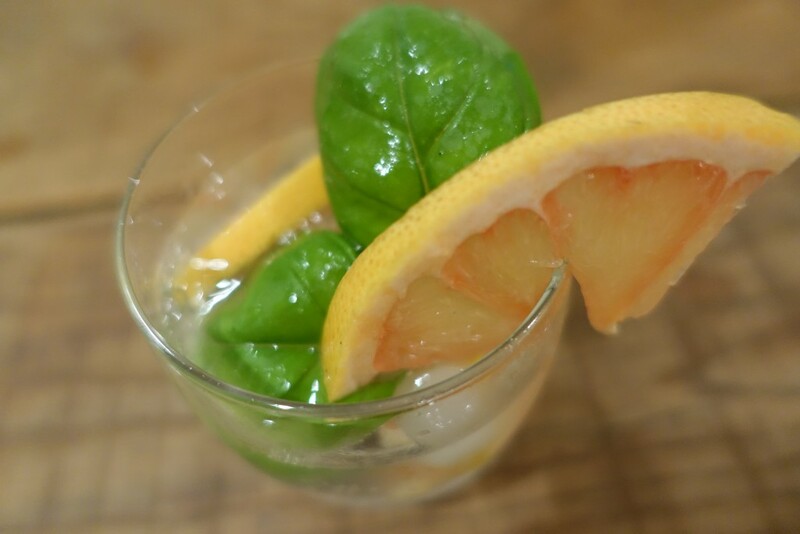 This is why it can take the bitterness of the grapefruit and earthy herbal nature of the basil. 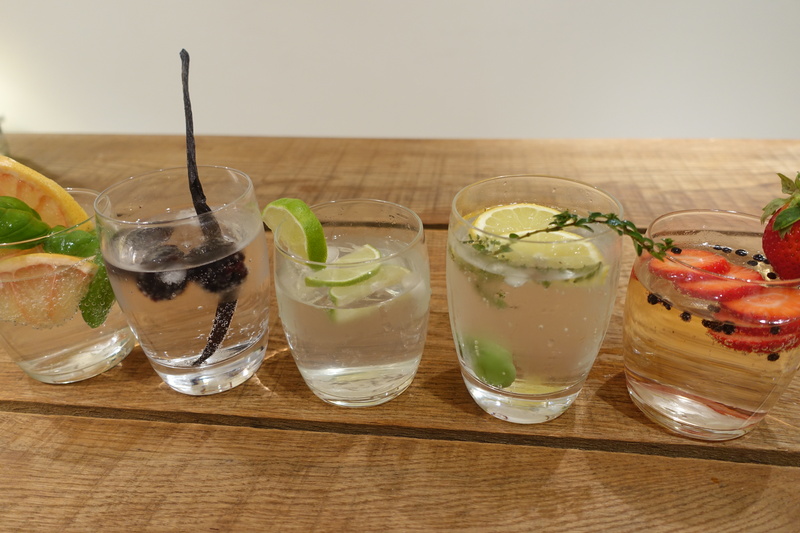 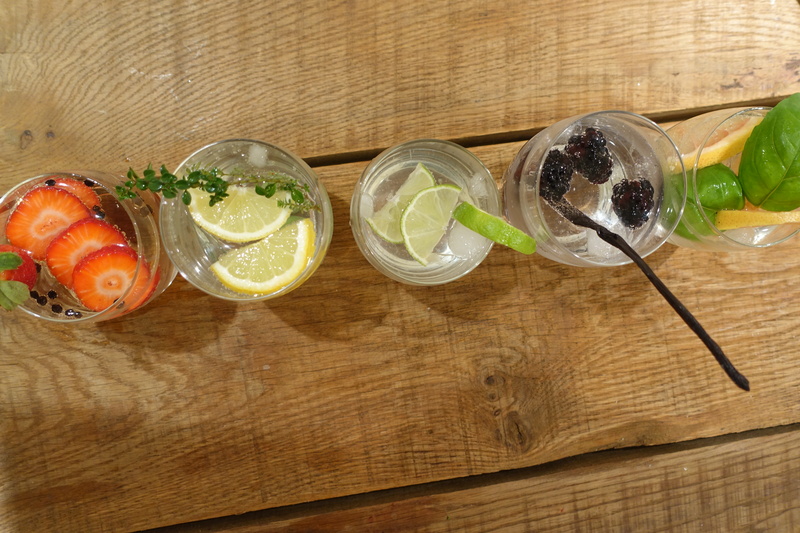 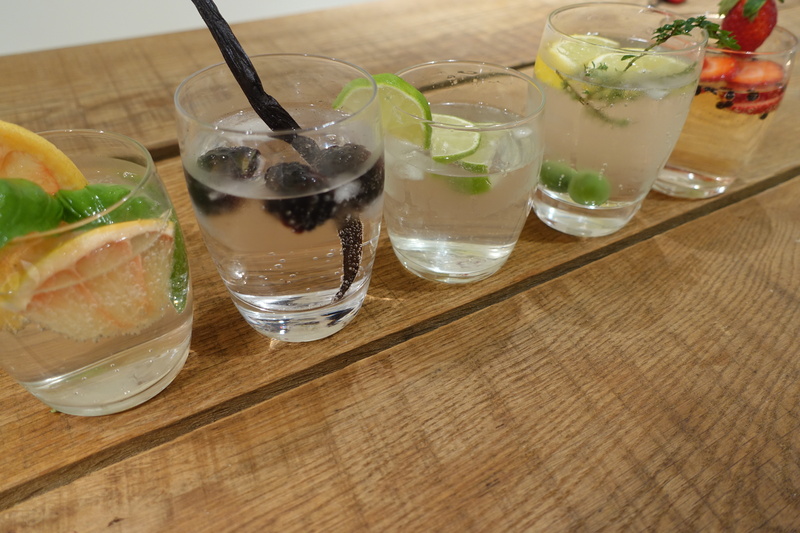 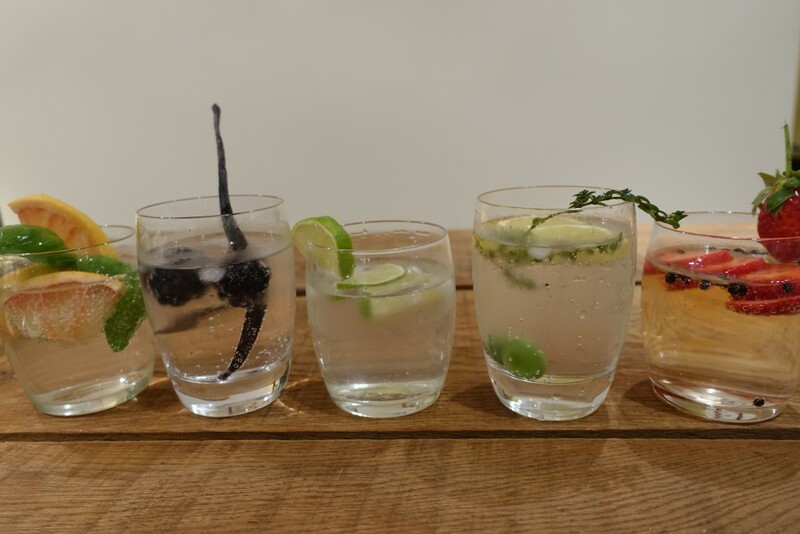 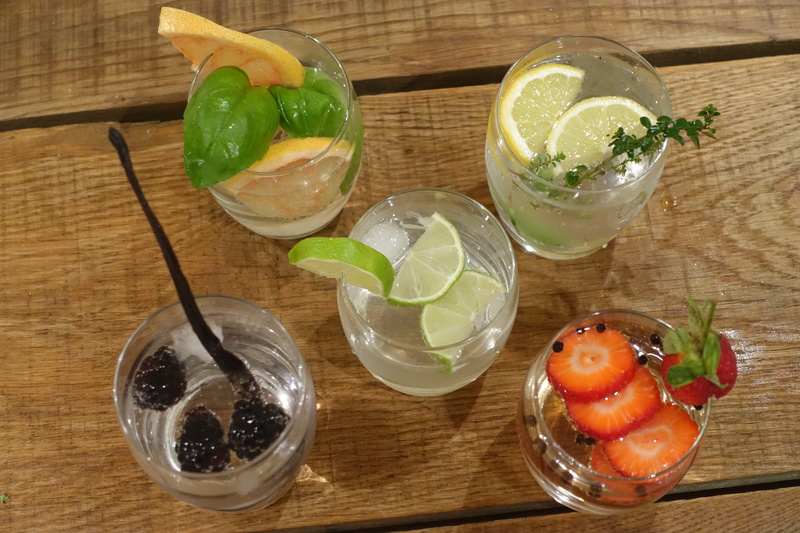 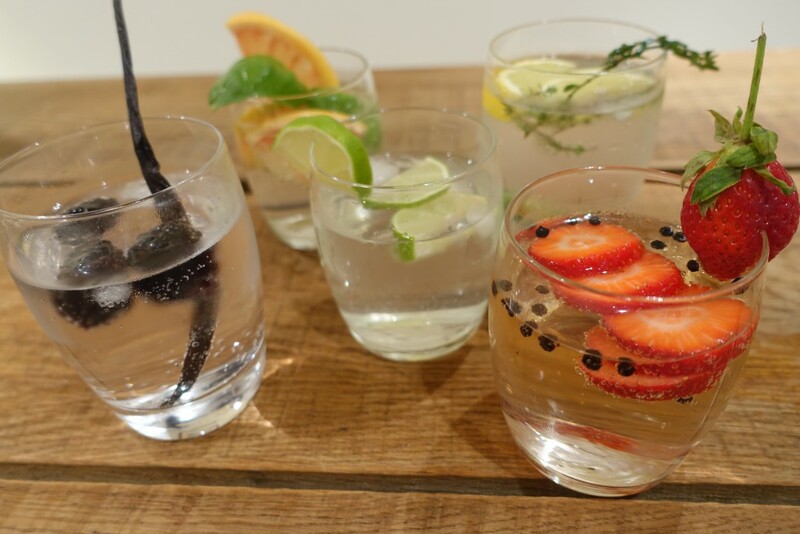 These gins not only taste great but they also look very pretty too. 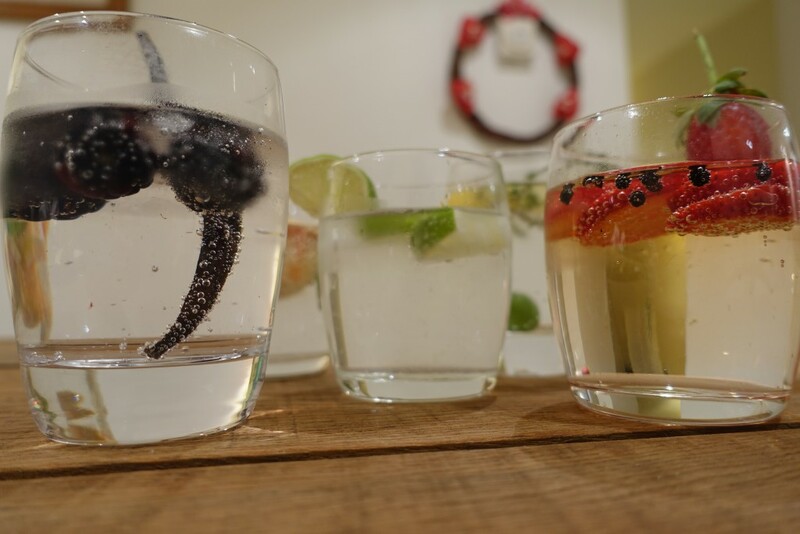 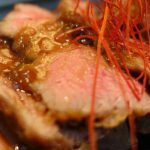 Great for if you’re hosting a party or if you want to spice up your pre-drinks a bit more! 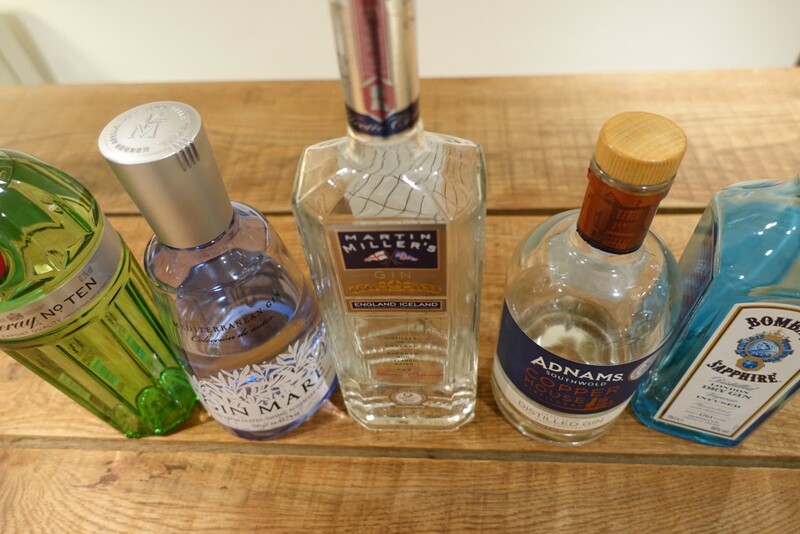 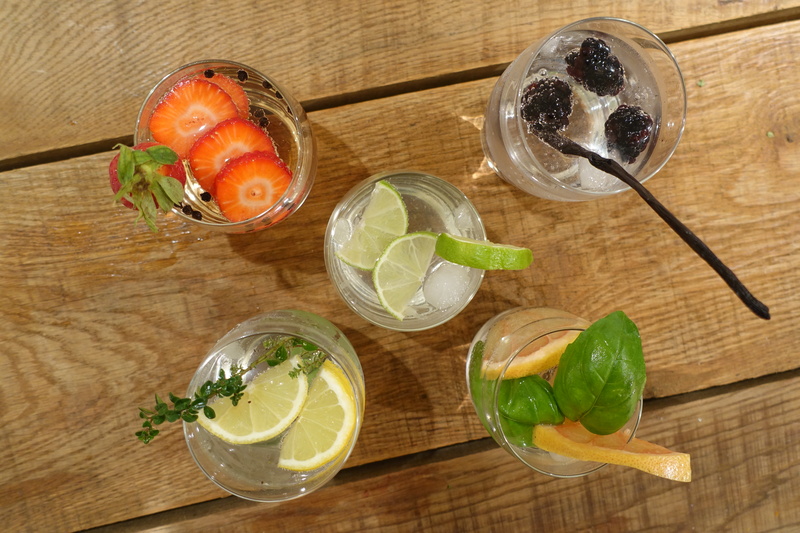 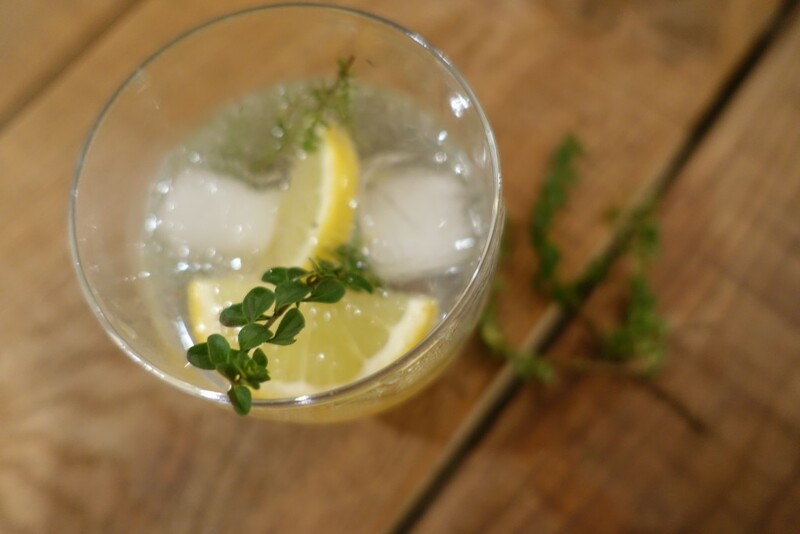 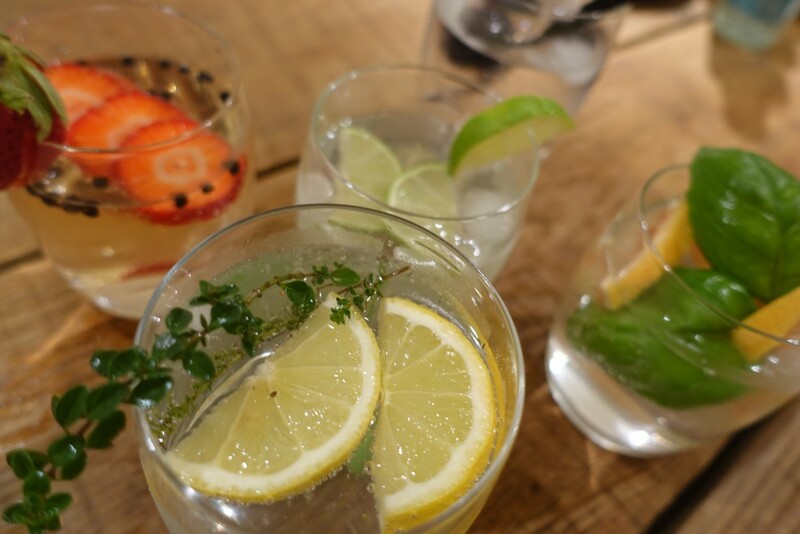 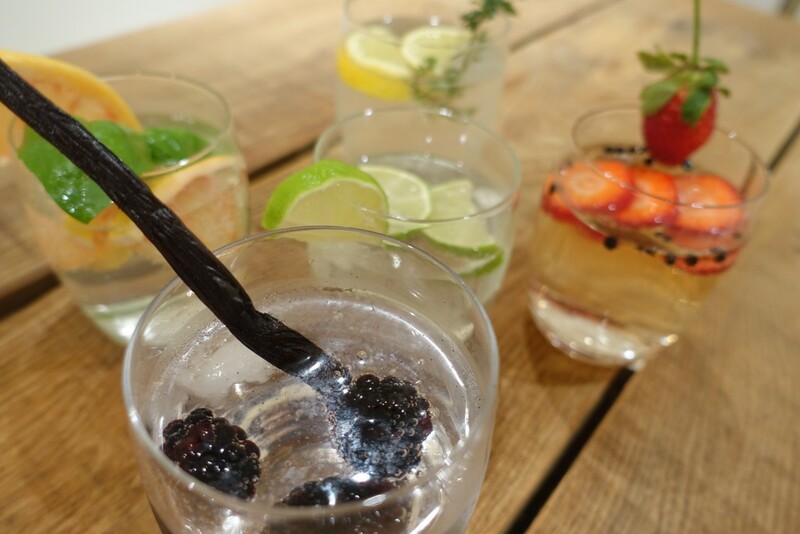 Do you have a favourite gin? 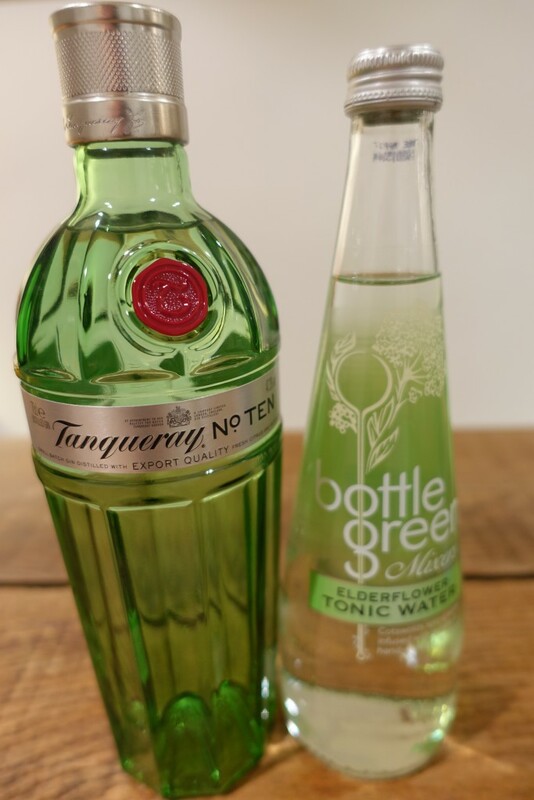 Or maybe have a recommendation you think I should check out? 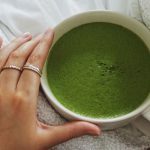 I’d love to know so comment below!